I was originally going to schedule this for later in the week, but I figure I’ll run it now, since the recent twitter chatter is observant but mistaken. 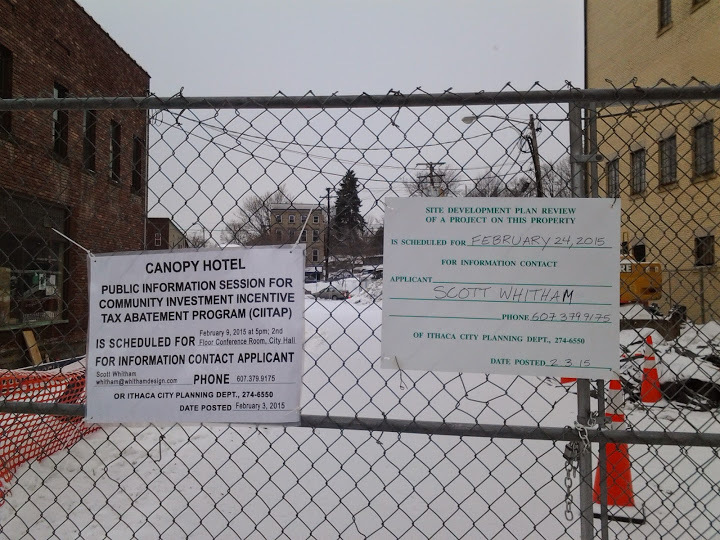 The Canopy Hotel is not under construction. At least, not yet. 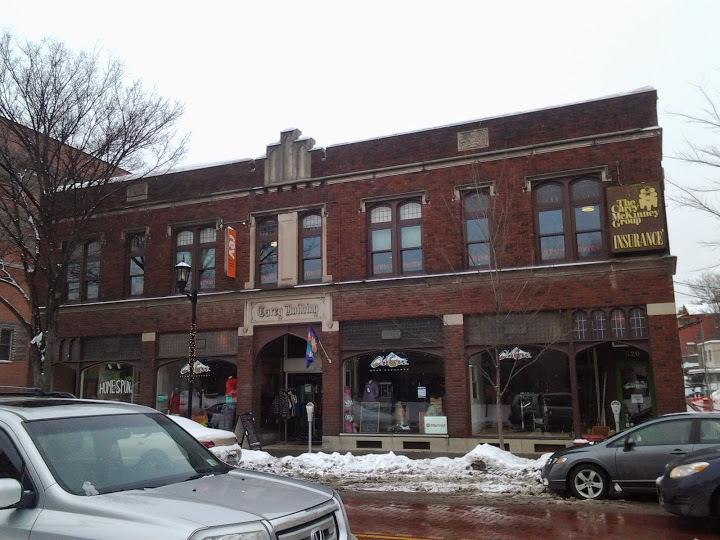 The hotel is expected to start in early Spring. 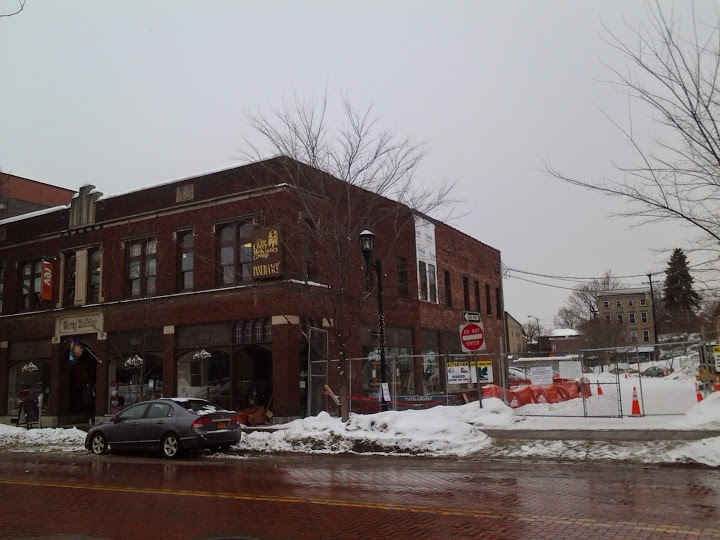 But the work on the Carey Building addition is just beginning. 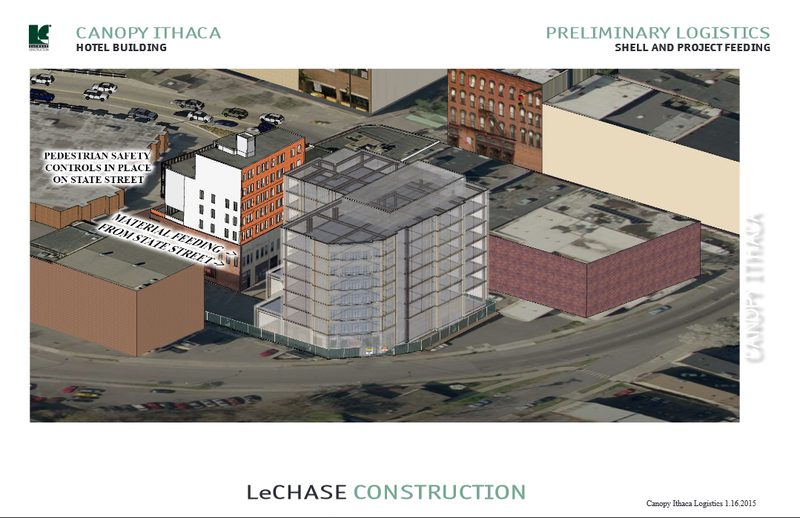 According to Jason Henderson at Ithaca Builds, building contractor LeChase Construction is currently conducting underpinning work on the Carey Building. Underpinning is the name of the process by which a foundation is strengthened – certainly necessary when one is about to add five floors onto a 2-story building. 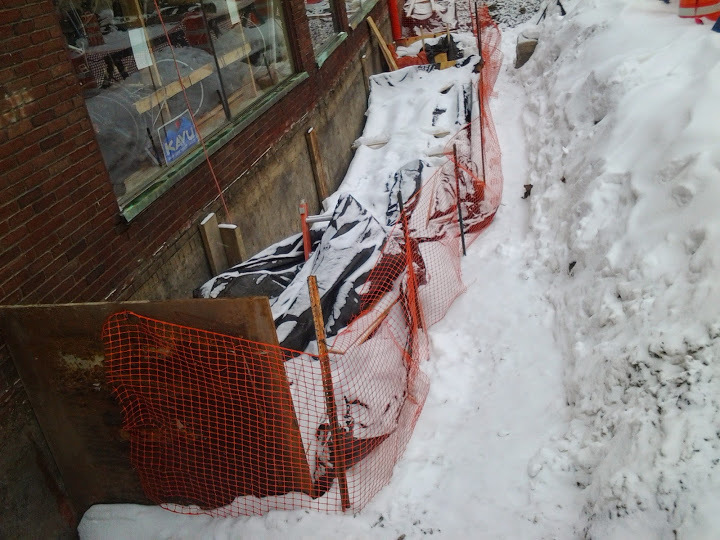 The second to last photo here shows some of the underpinning work on the eastern foundation wall, and the tarp is on the roof indicates prep-work for the upcoming expansion. 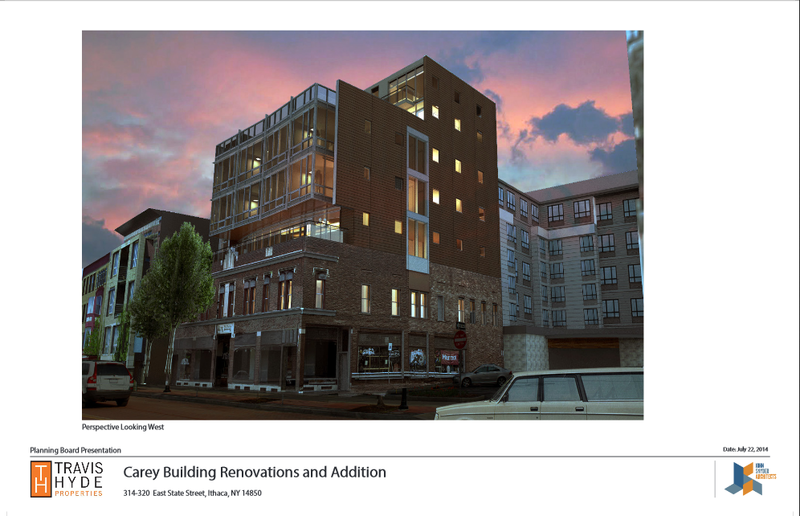 LeChase will also be handling the construction of the Canopy Hotel next door. It’s quite unusual in a place like Ithaca to have two separate large projects right next to each other under construction at the same time. This will be logistically complicated. 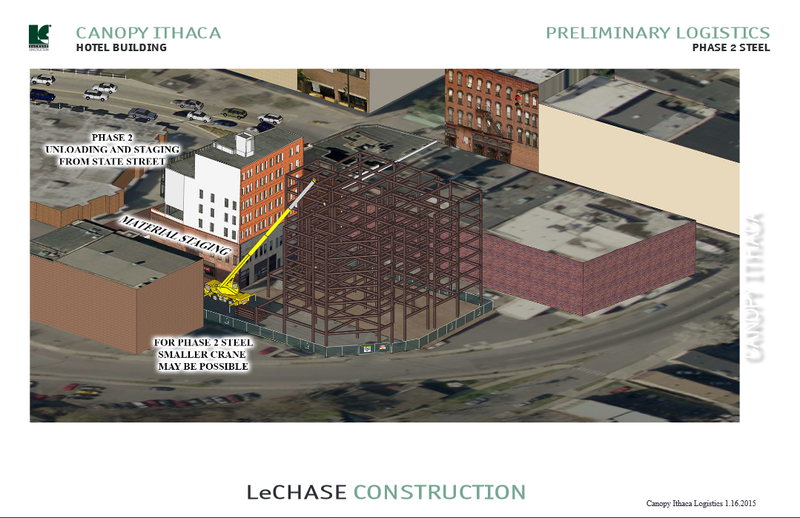 In a letter to the Canopy developers, LeChase’s large trucks will have their brakes inspected before entering State Street, and will be escorted down the hill to a designated area on Seneca Street, and will leave the city via Seneca Street. 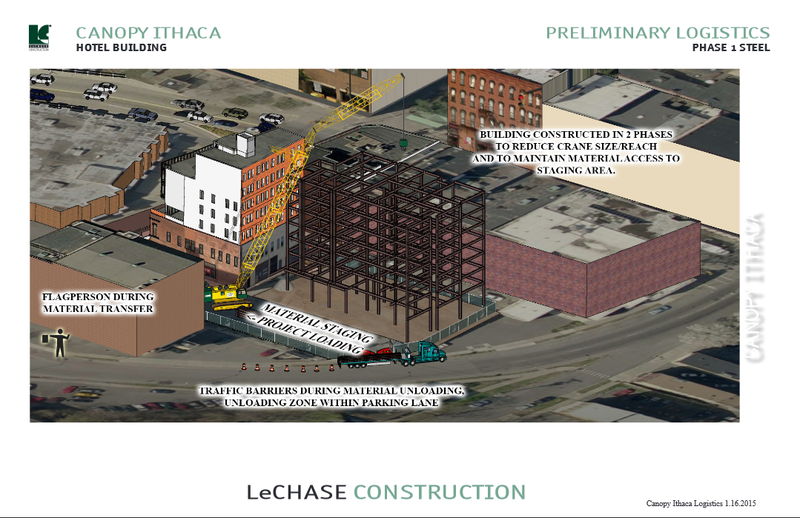 According to construction phase diagrams, The steel for the Carey Building will be erected first; then, using the same crane, LeChase will begin installing steel for the new hotel. Sharing the crane will result in a cost savings to both owners. 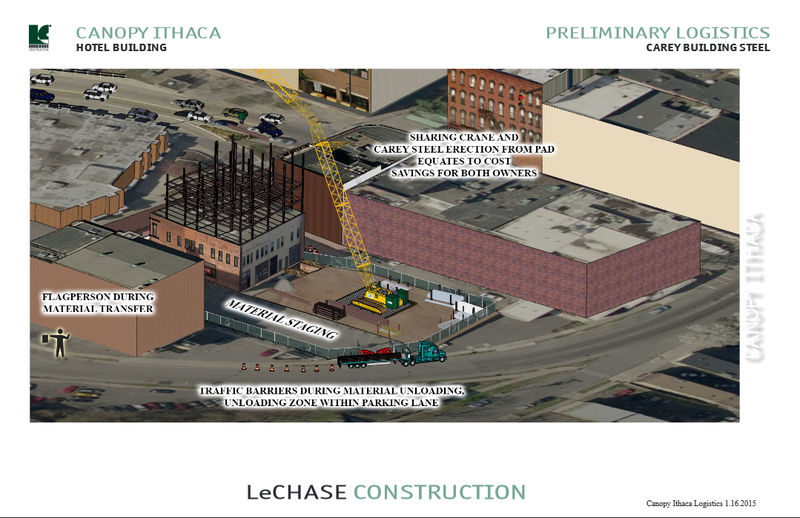 When most of the western side of the hotel has had its steel structure craned into place, LeChase will transition to a smaller crane and switch the material unloading and staging area to East State Street. 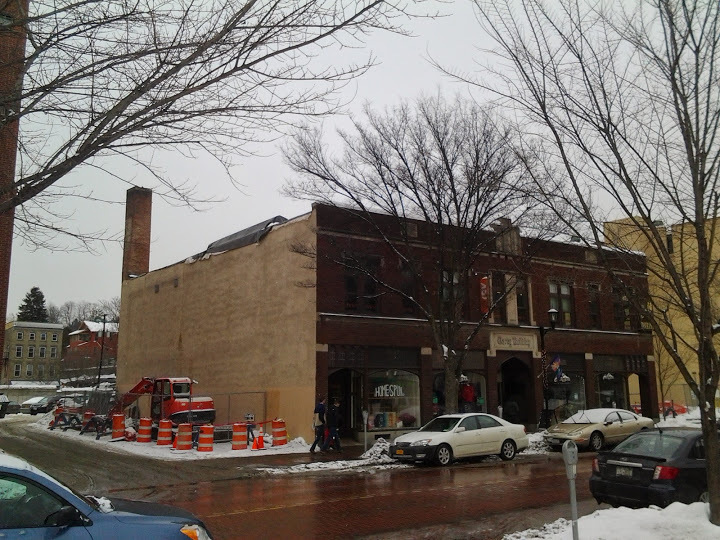 This is because the hotel occupies most of the site, so the crane is reduced and East State street will be closer to the location of the new crane. Cladding and interior materials will continue to be fed in via E. State Street through the project’s completion in Spring 2016. The Carey Building will have been completed by then, finishing by the end of summer 2015.